Want to Find out More? Get in touch with us by using the contact button below. We're ready to create a custom solution for you. DOMA Technologies is excited to announce the launch of a new student led research project designed to help DOMA achieve Vision 2021. 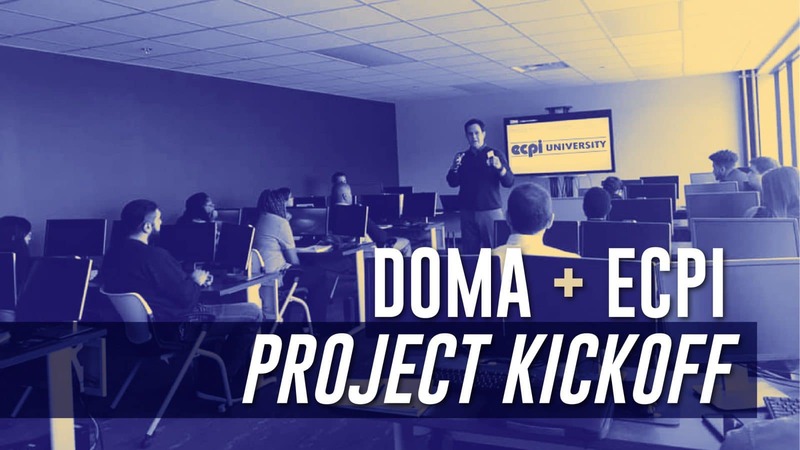 DOMA has partnered with ECPI to begin its first student project this March. For six weeks Professor John C. Rajan’s Business Administration Students will be researching and developing a proposal presentation focused on DOMA’s challenges and opportunities in the tech space. Students are separated into groups based on DOMA’s three main markets – Federal, State Government & Local Education (S.L.E.D.) and Commercial. These groups are encouraged to take on the role of industry experts bidding for a contract with our Marketing department. Their goal is to conduct in-depth research into their respective market and clarify how DOMA can better succeed within that space. Students will explore and define the challenges, weaknesses, and competitor threats in DOMA’s current strategy and potentially offer insight on the path forward. For the program kick off the students were invited to the brand new DOMA facility for a tour. Students were able to meet department leads in PMR, Sales, Communications, and Marketing to ask questions and gain deeper insight into the inner workings of the company. As the project progresses students will have the opportunity to schedule meetings and engage with DOMA in a way that mimics a real-world business relationship. At the end of their research and development phase students will present their findings in a 20-minute presentation to DOMA leadership. To raise the stakes, one team will be chosen as the contract winner and be awarded an undisclosed, but assuredly cool, prize. DOMA believes student projects and internships provide a great opportunity to seek out local talent and give back through mentorship. With over 19 years of experience in the tech space, there is so much our talented DOMA team has to offer this next generation of students. As DOMA continues to grow, we hope to expand project and internship offerings to include additional departments such as Software Development and Sales. This budding program provides the perfect opportunity to help DOMA build valuable community connections and nurture tomorrow’s leaders. In addition to our partnership with ECPI, DOMA will soon be offering three in-house internships including Social Media Marketing, Graphic and Web Design, and Event Marketing that are open to all Hampton Roads students. To learn more about these internships or apply, download out the document below. 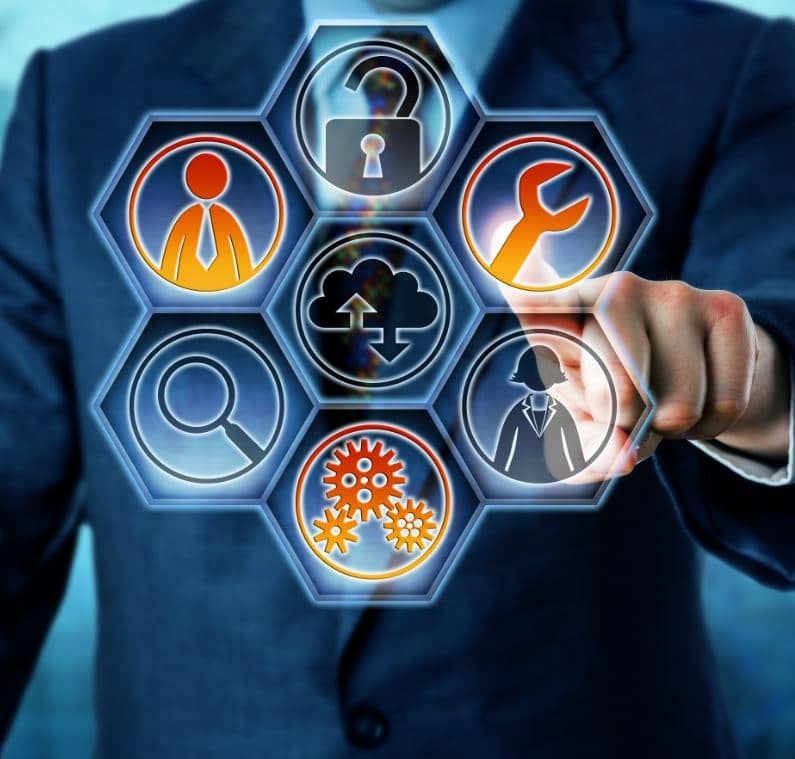 Founded in 2000, DOMA Technologies has grown into a leading provider of enterprise information management and data and document management solutions for organizations nationwide. DOMA developed its Cloud-Based content services platform in-house. It is easy to use, highly configurable, secure, and rapidly deployable software is powered by Amazon Web Services. DOMA’s information management strategies were born out of a long history of trusted business relationships in the private health IT market that have allowed them to formulate best practices for the Department of Veterans Affairs, Department of Defense, and additional customers in the public sector. At DOMA we take our Vision 2021 values seriously. One of those values, “Build Up Leaders” really speaks to DOMA’s mission to give back to the community through educational programs. For four years DOMA has partnered with Virginia Beach’s very own Wave Leadership College to help equip the next generation of leaders. Once known as the Life Leadership Training Center, Wave Leadership College (WLC) was launched with an initial class of six students in 1999. WLC has since grown to include an accredited Associates Program with six different degree tracks. Their newer Bachelor of Science program, supported by Southeastern University, boasts five majors including Ministerial Leadership, Business Administration, Digital Media, Psychology, and Mass Communications. Wave Leadership College has set itself apart by being both highly affordable and student focused. A small student to teacher ratio of 11 to 1 means that each student gets the hands-on guidance they need to reach the next level in their journey. It is DOMA’s goal to reach and inspire leaders both within the DOMA family and outside in the community. With that goal in mind, DOMA has provided both financial support and hardware donations in support of WLC’s mission. 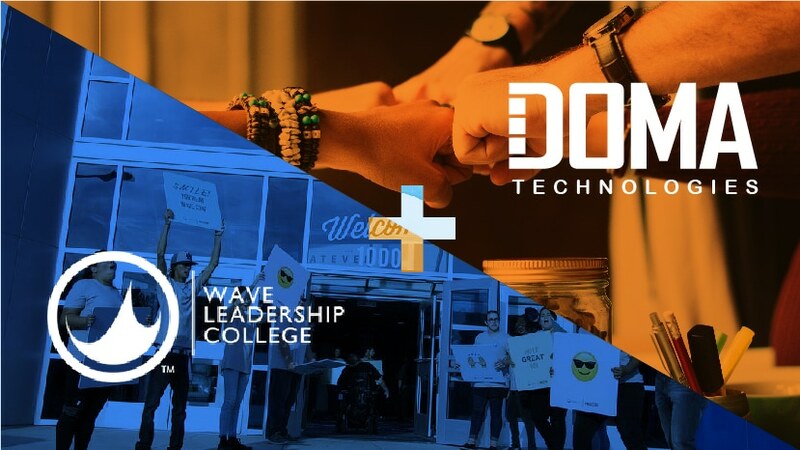 DOMA was recently invited to tour Wave Leadership College (WLC) and learn more about how our partnership has improved both operations through our DX software and the technology resources available to their students. In addition to a behind the scenes view of the facilities, DOMA staff were afforded the opportunity to speak with current and former WLC students and see firsthand the effectiveness of this innovative curriculum. Their stories and successes were the highlight of the visit, and the DOMA team left inspired and assured that their contributions are making a difference. It is an honor to be enriching such a passionate body of students through our partnership with Wave Leadership College. We believe our continued support ties right into our own vision for the future and DOMA is proud to be partnering with organizations like WLC as they mentor and educate the leaders of tomorrow. DOMA Technologies Partners with Customer Magnetism to Launch SEO Optimized Website & Persona Based Product & Service Landing Pages. Virginia Beach, VA, November 14, 2018 – DOMA Technologies launched a redesign of their website www.domaonline.com that launches targeted landing pages for their core products and services. DOMA is inviting users to explore their new site. With the fresh look and feel, the new site and landing pages offer a user-friendly experience with easy access to essential product and services information to help customers make well informed decisions about their technology needs and goals. This redesign offers quick and easy access to essential information about DOMA’s content services platform and digital services and features easy to understand content to the some-what complicated technology industry. The website also has industry-based pages that educate customers on government and commercial business services and solutions.